p. Ds. Wylliams, Camerar. Dni. Regis. HODIE 3a vice lecta est Billa, for the reviving of Three Statutes, made for the Punishment of Heresy, que communi omnium Procerum Assensu conclusa est. 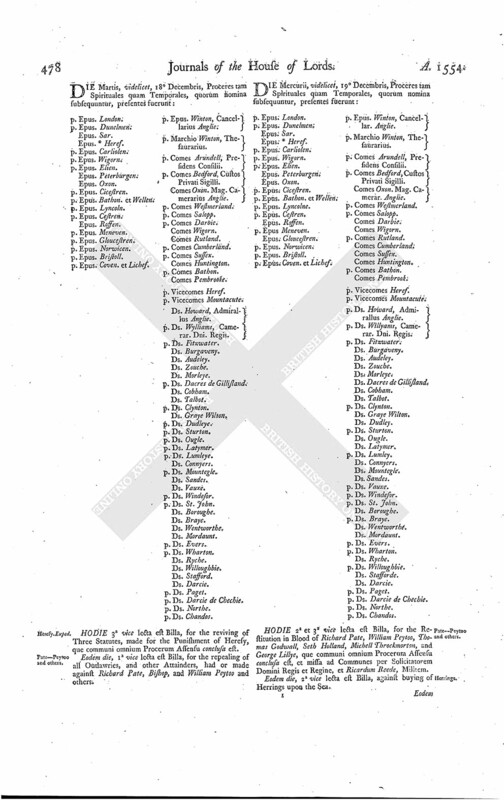 Eodem die, 1a vice lecta est Billa, for the repealing of all Outlawries, and other Attainders, had or made against Richard Pate, Bishop, and William Peytoo and others.